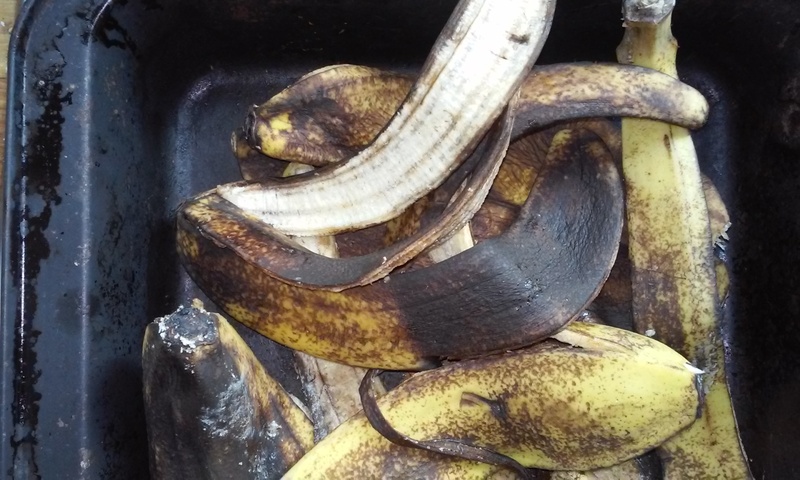 Before you throw away your banana peel, you can use it to make a fertiliser for your plants. Bananas are rich in potassium plus have other nutrients like phosphorus, calcium and magnesium, essential nutrients for healthy plant growth. 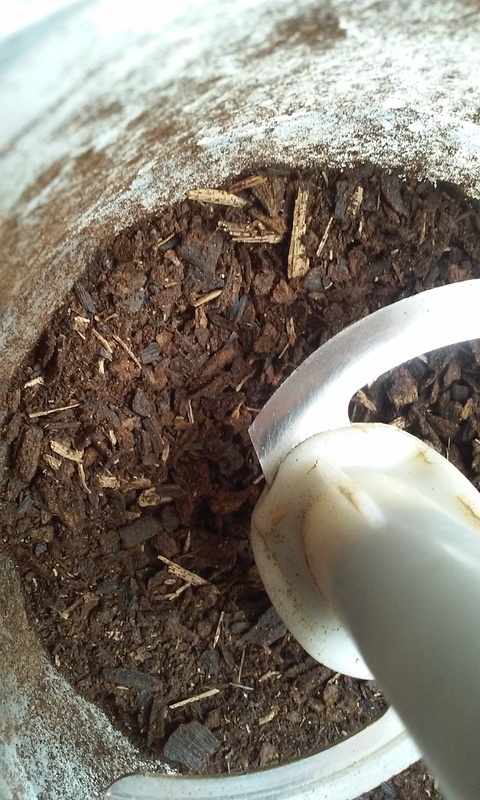 until the skins have dried out and are black and crispy then pulverise them until they resemble coffee grounds, and store in the fridge until you’re ready to use them. This makes a good slow-release fertiliser. Alternatively you can also use the peels to make a banana tonic that will give your plants more of a quick boost. Do this by soaking peel in water for 48 hours and after removing the peel apply the solution onto your plants. Or you can chop up the peel and bury it into the soil around the base of your plants. 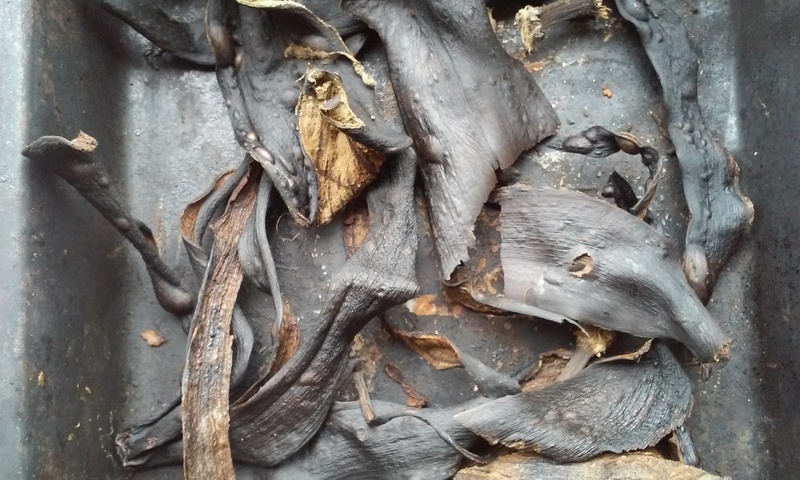 More often than not, I tend to use dried peel as it keeps longer and won’t attract flies or rodents. In a similar way, egg shells can be soaked in water and fed to your plants through the soil or even sprayed onto the foliage. Or the shells can be dried and ground down before being scattered onto the soil. This will provide calcium, useful for strong cell growth. Categories: Gardening in Oslo | Tags: banana peel, calcium, egg shells, home made fertilisers, phosphorus | Permalink.